With it's stunning simplicity this classic line bracelet is sure to become a staple in your wardobe. 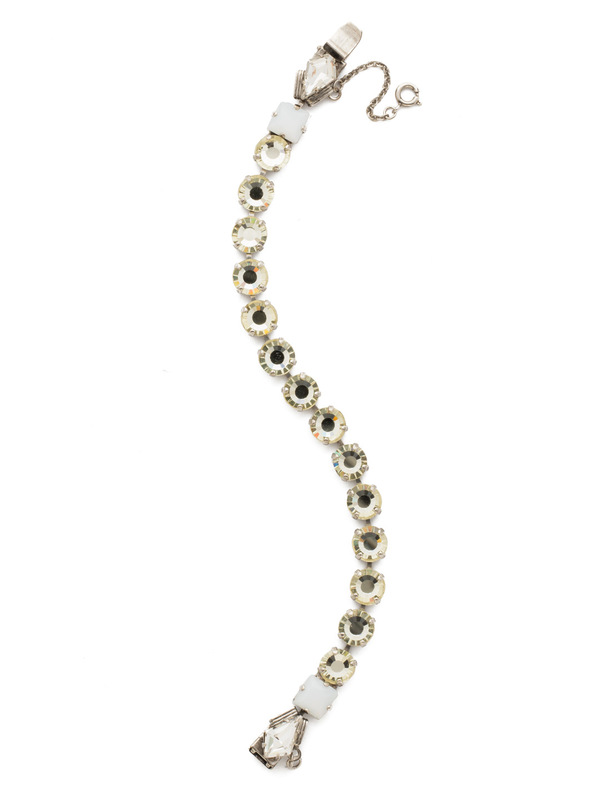 It showcases repeating crystals with a decorativly detailed clasp. A sweet spin on the classic tennis bracelet.